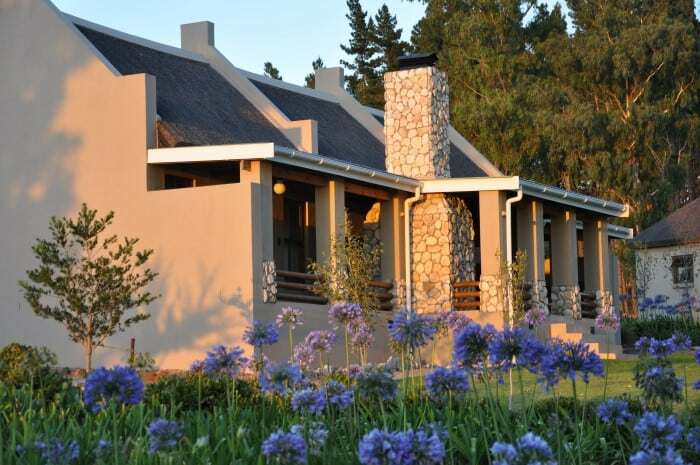 Riversdale Accommodation, find a perfect place to stay at the foot of the Sleeping Beauty. Look for a place to stay in Riversdale on the N2 between Cape Town and George. Search for top quality accommodation at affordable prices and find yourself spending a few days at the foot of the Langeberg Mountains. Welcome to A Farm Story Country House, situated on the R305 to Stilbaai, halfway between Albertinia and Riversdale. The romantic 1800’s homestead will provide your stay with an experience to remember. This Countryhouse offers accommodation in true old world luxury, at affordable prices. Conveniently surrounded by Stilbaai, the blue flag beach, Albertinia home of the Aloe and world class golf courses. 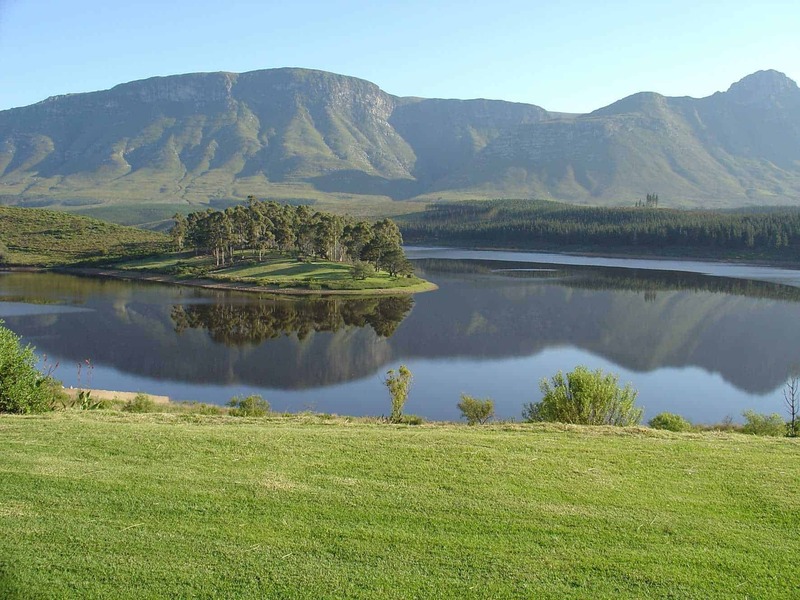 Stay in the tranquil outskirts of Riversdale with spectacular views of the Sleeping Beauty Mountain and surroundings. We provide self-catering units with fully equipped kitchenette, braai facilities, DSTV, Free Wi-Fi and also Swimming Pool facilities. All for your comfort furthermore we are just 1.1 km outside Riversdale and 1 km from Oakdale Agricultural School. Comfortable, stylish and affordable accommodation. Enjoy peace & tranquillity in a beautiful garden with exquisite mountain views and birds. 7 Individually decorated en-suite rooms with private entrances & safe off street parking. 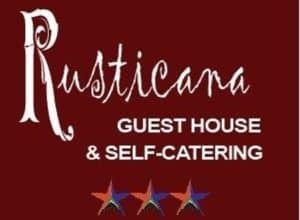 Finalist Best Guest House in RSA. 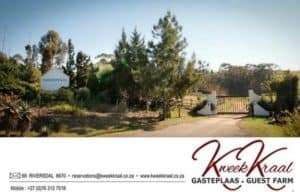 Kweekkraal Guest Farm is situated 8.2 km west of Riversdale right at the gateway to the Garden Route on the Southern Coast of Africa. Five of the units all overlook a farm dam with a backdrop of Eucalyptus trees and grain fields. They each have a bedroom with a double bed, another bedroom with two single beds, bathroom with shower, fully equipped kitchen, lounge /dining area and a patio with a barbeque facility. Lalani Bed and Breakfast is situated in a very quiet and crime-free small holding where the green trees and lush gardens of your surroundings bring you peace of mind. Experience traditional country hospitality at its best! Treat yourself to a stay in the luxury of the manor house or stay in our spacious self-catering units where our attention to detail will ensure a restful stay. Come and enjoy peace and tranquillity in our garden with exquisite mountain views. The quite relaxed atmosphere of the manor house is ideally suited for the business traveller. Safe play area/ jungle gym in our garden as well as a enclosed swimming pool makes Oakhurst the ideal family getaway – overnight stay. Spacious rooms: air-conditioning, bathshower, TV, with MNET and selected DSTV, tea tray, electronic safe. 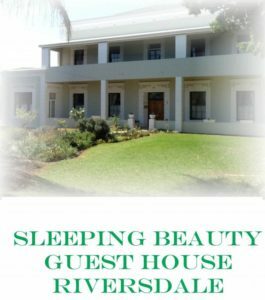 Sleeping Beauty Guest House in Riversdale on the Garden Route is an owner managed establishment offering superior accommodation, hospitality and personal attention to tourists and business people. Accommodation consists of six en suite rooms in the main house and a self catering loft lodge which has two bedrooms each with private bath room, and an open plan kitchen/ dining area. All rooms have TV and tea and coffee making facilities. Takkieskloof is the only one of the municipal campsites that’s not situated by the beach and therefor it’s one of a kind! Here you have the famous Sleeping Beauty mountain peak in the Langeberg Mountain watching over you while you prepare your meal over the fire. The next morning she will still be sleeping as you pack up your tent for another day of adventuring on the back roads. This is a popular stopover between the Klein Karoo in the north and the Garden Route. Intrepid travellers who seeks something off the national road, coming from the east (Mossel Bay), usually head to Herbertsdale and Van Wyksdorp via the Cloete’s Pass. From there to Ladismith and then over Garcia Pass to Riversdale. None of them are ever disappointed by this scenic drive, offering vast Karoo landscapes and rural tranquility.